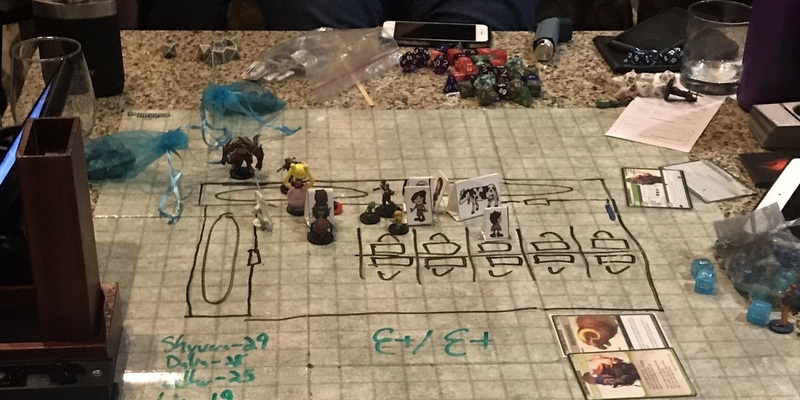 Ryan and I recently reviewed the Pathfinder Playtest on Know Direction 183, and it is one of our biggest episodes in years. You don’t want to miss it. But the Know Direction network is more than simply Ryan and myself. We have an amazing team of bloggers and podcasters with a breadth of opinions, and we don’t always agree. So while me and Ryan got to say our peace on the podcast, we wanted to give our team a place to share theirs. Here they are. It is important to note, we’re all Pathfinder fans. We all want Pathfinder 2nd Edition to be the best possible version of the game it can be. We don’t all agree on what that game is. 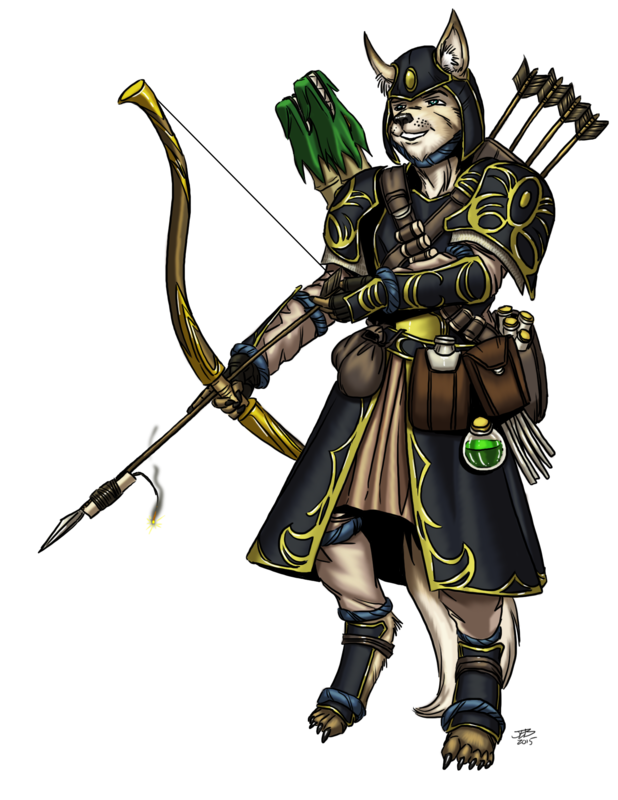 James is one of the hosts of Know Direction: Beyond, writes the Code/Switch blog here at Know Direction, and is one of the cast members for our upcoming Pathfinder Playtest podcast. Hi, I’m James and this isn’t Code/Switch. 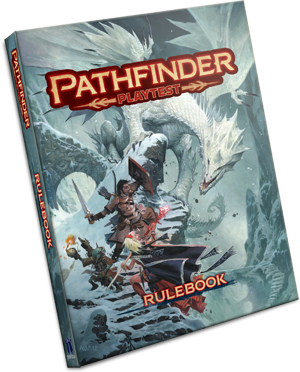 Even though this isn’t my regular forum I still want to talk to you today about the Pathfinder 2e Playtest rules. The Playtest rules are definitely Pathfinder, with a smattering of Starfinder and Pathfinder Unchained systems. In getting to play a bit the system feels less intimidating at the pre-gen demo table. 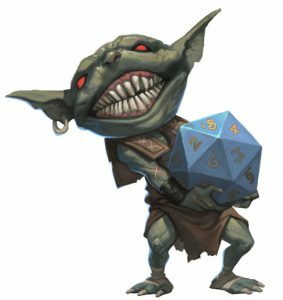 You don’t have as much minutiae about what actions are like you do in 1e and I was able to pilot my pre-gen goblins turns in 15-20 seconds most rounds. The demo table material still feels satisfying, giving players crunchy options and rules with which to play. It’s once I got away from the pre-gen options and started to delve into the book on my own that I discovered a crunchier layer that left me with some questions. Before I launch into any questions, I wanna first go over what I like about the system. In truth there’s much more about the system that I like than I dislike. 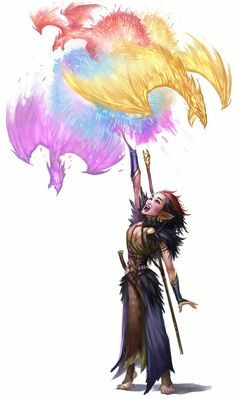 Resonance: With the expansion in usefulness of mundane items, and magic items becoming better in general, a limiting factor that roughly lines up with level is a welcome factor coming from end stage Pathfinder where every 10th level PC blinds themselves when detecting magic in a mirror. The familiar and animal companion systems are amazingly simple. They alleviate so much of the confusion that’s plagued 1e and Pathfinder Society in particular. The rework of the magic system is very cool, integrating 4 classes of magic up front. The classes all feel pretty close to their 1e counter-parts. Yes some options have changed, but often times the changes are to things that were exploited in 1e. Combined with how progression works it feels like you have more choices to make at each level up, which especially for the wizard is nice. Let me just be clear, a ‘con’ does not mean a death sentence to the system. It also is based on my understanding of this new system. Lastly, it’s written with the idea that the system still has the ability to change, and that there may be revisions. While the new action system is easier, the minutiae around spending actions to use somatic components, change grip, and scratch your nose can sometimes leave you feeling less heroic in a tense situation. The resonance system is presented in a confusing manner, with items requiring investment at the start of the day, some only burning resonance on use, and so items that do both. While this system makes you less able to spam wand charges, it also limits your use of magic items, and not always in a fun or flavorful way. The nomenclature can be overwhelming with a whole section dedicated to actions along with the use of spell points that let you use spell-like and supernatural abilities but have nothing to do with your actual spellcasting. 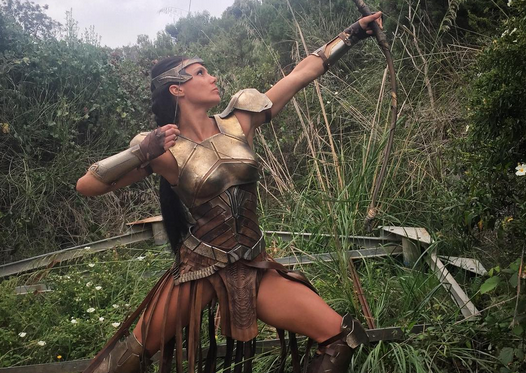 One of our newer bloggers, Vanessa writes the Craft (Adventure) blog here at Know Direction. I had the opportunity to create my very own characters for both of the 5th level playtest scenarios at GenCon, each running about 5 hours. My first character was a human monk; I created her at 1st level, then leveled her up to 5th level so I could see what it felt like to pick new abilities each level. My second character was an elven paladin; she was made from whole cloth at 5th level. Character creation is relatively easy and there are fun options to choose from at each level. Most of the feats gave my characters something new they could do with an existing skill or ability, while others granted entirely new options. After two games, I’m really excited to run Doomsday Dawn for my local group and see what sorts of characters they come up with. The three action economy is really intuitive. Combat flows quickly and easily, with decisions being relatively simple, even at 5th level. Having more than one reaction on my paladin (Retributive Strike and Divine Grace) kept me thinking strategically when facing a combination of spell casting opponents and melee combatants. Flurry of blows on the monk made that character feel much more melee capable than my paladin as I could rely on at least two attack rolls every round. Having critical hits / critical success occur not only on a natural 20 roll, but also when beating the AC or DC by 10+ points meant that high rolls are really exciting because even a 17 might crit. It also means that I was trying to get as many bonuses to hit as possible while trying to keep the enemy with as many penalties as possible. This helps movement and positioning feel more important than in PF1. Exploration mode was even fairly fun as I could determine what I was doing in each area and that contributed to my initiative. Leveling up might give some interesting choices each time in the form of feats, but skills are given few choices. In fact, getting a +1 to almost every part of your character every level felt a bit off-putting. It was like I was getting better, but my monk was getting better at fighting at the same rate as the wizard. It seems like at level 1 I might feel decently better at fighting than a wizard, but at 5th level we are relatively the same. I might have +10 to hit, but they’ve got +7. I have a 21 AC, but they have an 18. As we level up, I’d expect those numbers to stay relatively close. Gone are the days of making a tank with really high AC; now it’s just a few points higher than the least armored character in the party. We had a similar feeling from the barbarian player at the table: “I have Strike, Sudden Charge, and Rage. Those are my options. 2nd round of combat and I’m already bored.” I think that by 5th level martial characters should have at least 2 interesting combat options beyond Stride and Strike. Since Sudden Charge is just a combination of those actions, it doesn’t really satisfy the way Flurry of Blows and Stunning Fist satisfy me. Alex is one of the cohosts of Know Direction: Beyond, author of our Iconic Design and Guidance blogs, and cast member in our upcoming Pathfinder Playtest and RPG Design Club podcasts. Compared to the rest of the staff, I *think* I have the most practical experience playing the Pathfinder Playtest. I was a Tier 1 volunteer at GenCon this year, and the Organized Play scenario that I got to run six times in four days was the Rose Street Revenge playtest scenario. (Well, five times—my Sunday morning slot didn’t fire. But hey, that’s STILL 20 hours of playtesting!) That being said, most of my thoughts are from the GM’s side of the screen; I look forward to getting some practical playtesting time in with our Doomsday Dawn gaming group. With what I’ve read and experienced personally, however, I think that the Pathfinder Playtest has done an excellent job of making combats faster and the action system more intuitive and dynamic. For most abilities, you don’t really need to “remember” how to do it because of its simple 3-action system. While the system has its hiccups, it’s fun to play and if it were published today as a 3PP product I feel like it would be a solid seller because regardless of the system’s strengths or flaws, the game FEELS like Pathfinder, and that is a pretty tough thing to accomplish in a game that’s basically rewriting 30 years of Tabletop RPG tradition. The 3-action economy system is beautiful. It’s simple, elegant, easy to use and fun to play. Four out of five of my tables told me that it was their favorite part of the Playtest, and I earnestly agree with them. As Loren said, the new archetype design is pretty on the nose for me. Pirate looks pretty terrible to be honest, but I was sold when I saw cavalier—a class no one ever wanted to play without an archetype making it into something else—simplified as an archetype. This is really, really good design PDT. Keep it up! Although MAYBE You want to look at allowing archetypes to have skill feat options in addition to class feat options? Because jeez, a lot of those abilities are so niche that pirate ain’t looking too hot. It feels REALLY mean to say this because the Pathfinder Playtest document is basically a rough draft that I paid money for, but this book’s artistic “look” is an immense downgrade from anything Paizo has ever published, and I’m not talking about artwork. The book is bland and unpleasing to look at—it’s all browns, reds, and greens, and EVERYTHING looks the same. I am not a fan of the new “everything looks exactly the same” format. In PF v1 it was easy to tell if you were looking at a feat, a monster, a spell, or a hazard because all of those things were laid out differently. In the Playtest document, they’re all 100% identical in layout. If the PFS Scenarios didn’t have little icons that told me what was an encounter and what was a hazard, parsing that document would have been a NIGHTMARE. (And honestly it still kind of was for the first play through, because while those icons are neat they are never defined anyway.) All in all, this book looks like a major downgrade from Starfinder RPG, which is honestly one of the most beautiful Core Rulebooks I have ever seen. I’m going to take some time here to give a shout-out to my friend and GenCon roommate, Matt Morris. (He’s also the co-author of the Starfarer’s Companion.) Matt REALLY hated how spells and powers are laid out–they’re all in each others space, and spells and powers don’t tell you where they’re from. Matt is a pretty chill dude, and I have never seen him as frustrated as he was flipping through the spells and powers section of the book trying to look for spells for his gnome bard. The biggest con for me, however, is all these freaking keywords and conditions. Like, seriously—how is Paizo going to make a condition deck out of these conditions? They practically tripled the number of conditions in the game! Some of the conditions are so similar that I literally cannot remember them—they all just run together into a massive slurry of rules that no one is going to read because rather than feel cool and immersive, they’re all SUPER gamey. I can’t tell you how many people laughed at me when I told them they were “hindered 10” or “sick 1” because the names of those conditions ripped my players out of the roleplaying experience in an instant. The game might be simpler in combat, but it feels more complicated everywhere else, like you’ve gone and kineticist-ed the whole book. My Hill to Die On. Of COURSE he’s a kitsune, what did you expect? A tengu? For me ancestries are my Hill to Die On. Now, I’m not talking about the switch from the word “race” to the word “ancestry”; I think that was a smart choice and I applaud the decision to throw away a piece of toxic TTRPG tradition in favor of a word that has significantly less baggage attached to it. What I am referring to is the fact that your ancestry doesn’t give you anything besides your ability boosts, speed, size, and a few minor tweaks. PDT, I love you guys and you know we’re cool, but let’s be real for a minute: race balance in Pathfinder v1 was not your strength. Do you remember when the Advanced Race Guide came out and everyone was like, “Oh man! You guys had to build a race building system that was obviously stacked to try and prove the core races were balanced when they really weren’t?” Well, you did it again. These ancestries are NOT balanced, and more importantly you took away ALL of the “tweakable power” from them. Let me be clearer: because ancestries don’t automatically give you anything to start with, there is very little room for you guys to actually make cool, interesting ancestries in the future. And speaking of the future, this design paradigm is short-sighted. If the goal if Pathfinder v2 is to make sure that the v1 world remains compatible, then obviously you’re going to have to be able to port all of the races you’ve placed into Golarion as playable ancestries at some point in the future. With the current way ancestries are set up, there is no balanced away for you to give ancestries abilities that all members of the ancestry have and have that bonus be balanced. I’m talking abilities that, if they were an ancestry feat, could theoretically be “skipped” by a player or GM, meaning that the character might not have that ability. 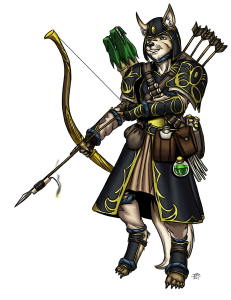 In my opinion, a Golarion where a kitsune or a skinwalker doesn’t have change shape, a Golarion where all gnomes don’t have some kind of magic, a Golarion where all vishkanya don’t have poisonous blood when Pathfinder v1 said they do is just … wrong. So go back to your core ancestries, give each of them one baseline power that’s basically a second ancestry feat that’s locked in, and be done with it. Future proof your game for your own sake, please! Loren plays Lily in our Know Direction: Adventurous podcast and answers all your questions in her Dear Dovah Queen blog. So, I’ve made a couple of playtest characters, and I’ve probably poured over 24 full hours into reading the book, but I haven’t yet actually played the game. Here are my initial thoughts from just reading and playing with the system on paper. I greatly expect these opinions to change after going through Doomsday Dawn, after receiving errata, and certainly after the true second edition releases. At the moment, I’m optimistic that second edition will be a great game and will simplify a lot of the unnecessary complexity that defined a lot of first edition. That said…it needs some love. 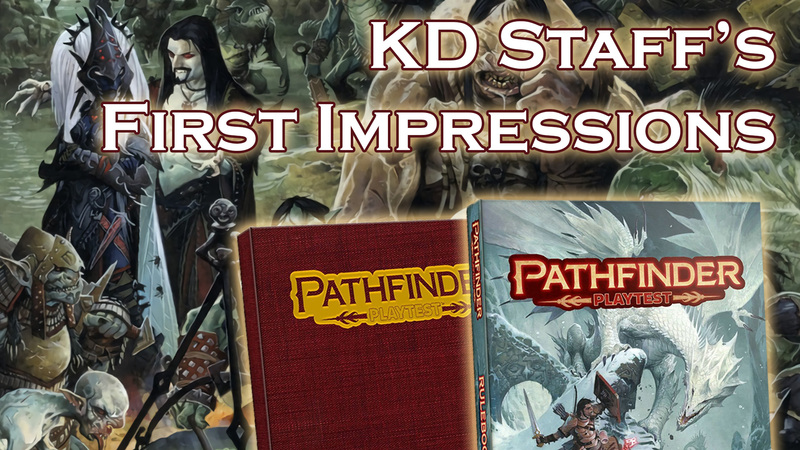 It’s obvious that Paizo is really working hard make something new and great, not Pathfinder 1.5, and creating a new game system from scratch is never an easy endeavor. Sure, that traditional Pathfinder flavor we all know and love is still here, but nearly all of the core system is being reimagined from the ground up. They’re trying to make the game easier to play while still having all the depth that we demand from our Pathfinder. It really feels like they intend to take the feedback from this playtest to heart. If they do, I’m certain that the second edition of Pathfinder is really going to be worth the hype that it’s already generating. 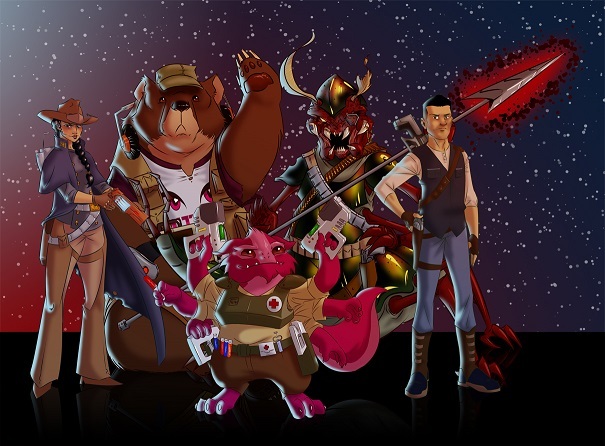 Starfinder tested making archetypes open to all the classes, and it worked, but Pathfinder Playtest knocked it out of the park. The need to multiclass your character to fit the right concept is gone because now you can take your base class, sprinkle on a dedication archetype, and watch as your multifaceted concept comes together with ease and simplicity. The proficiency system is actually quite elegant. The base of almost all d20 rolls you make is going to be your die, level, and ability bonus. After that, you’ll add modifiers from miscellaneous things like items, feats, spells, and such, but having that solid and quick foundation should streamline many aspects of gameplay. Personally, I think that the three-action system and accompanying generalization of actions will do a lot to streamline gameplay as well. Plus, this led the way to the new spell component system which I think is wonderfully thematic. I really enjoy the idea of a spellcaster using one action per spell component. It makes casting feel more involved, and that’s always a good thing. Lastly, for now, I ABSOLUTELY LOVE the inclusion of goblins as a core race! They’re chaotic, fun, adorable, and their aesthetic is a blast! 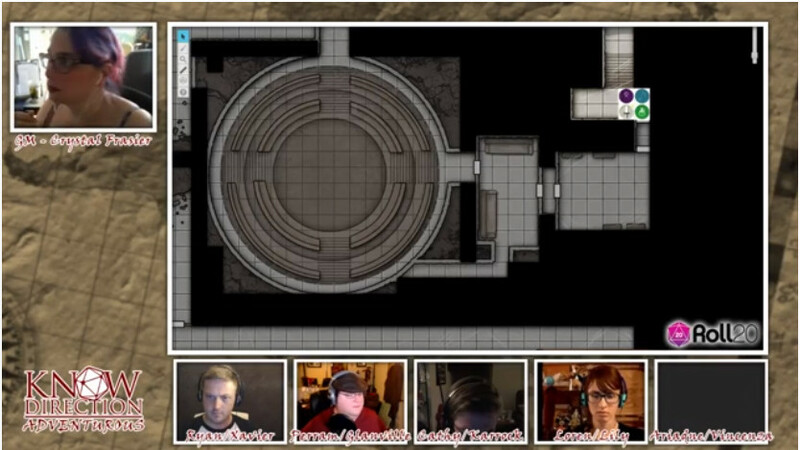 10/10, Paizo! Some of my favorite and most memorable characters have been gobbers so it feels real good to be included in the core book. Races feel ‘watered down’ by only getting one ancestry feat starting out. At first level, we feel like half of a race compared to what we’re used to in first edition. For example, a 1st level human can either get a bonus “general” feat or extra training in skills. Why, Paizo? Just give us two ancestry feats in character creation and call it a day. I’m also bothered by the way classes are shoehorned in (or out) of certain playstyles. Fighters and Rangers get class feats to make two-weapon fighting viable. Cool, right? But then you realize that if you wanna wield two weapons, you have to be a fighter or ranger. Wanna use two daggers as a Rogue? Too bad. Sure, there are ways to eventually work around the issue, but they’re clunky and get in the way of what you’re actually trying to do with the character. 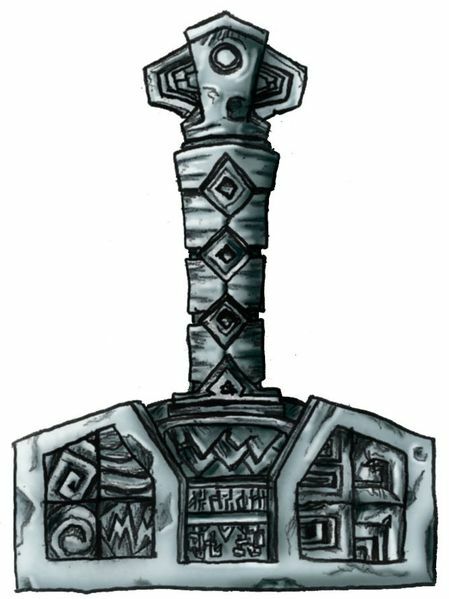 Paizo, consider this solution: move weapon style feats to a new “Universal Class Feats” bucket that’s available to all characters. Now you’ve opened up design space for players to make their own unique characters that play the way they want them too. Who cares if a Wizard wants to take Power Attack anyway? Oh yeah, Barbarians don’t get access to Power Attack anymore. Let that sink in. Why are paladins still only Lawful Good? C’mon, it’s 2018; let sacred cows go. It made sense in the 70’s and 80’s, but now it’s time to move on. There’s no reason to have a whole entire class devoted to one kind of deity. Gods all of stripes deserve to have divine champions that enact their will in the mortal realm by means of plate mail, divine gifts, one-liners, and feverish smiting. I want to be able to play my seafaring CN paladin of Gozreh who serves in the Saltguard Order; Fera Brineheart deserves representation too. Another of our newest team members, Randal writes our Groundbreaking and Teraforming blogs. There are a number of layout changes and organization changes that I like, with a handful that I don’t. For the most part, I am ignoring purely visual aspects like column choices, art, layout, and colors as this is a playtest book and I suspect they will put more effort into a final product. I haven’t yet completed a cover-to-cover reading of the Rulebook, but I really like what I am seeing. I don’t know that I am impressed as much as I am just pleased with a lot of the changes. Many of the changes mirror things that I have been doing with my own house rules for years. Consolidation and simplification actions and the 3 action 1 reaction round with less AoOs is going to make combat more smooth and dynamic. Allowing each character to mix and match actions as they see fit each round will keep combat fresh and fun. Spell casting using action economy is a great way to provide varying power levels for spells. Magic weapon and armor changing to a rune system that is transferable is going to help promote keeping favored/favorite weapons over the course of a character’s career/life instead of constantly trading up for the new hotness. I really love this (this is one of my house rules customizations). Fun magic items that aren’t tied to the stat creep required to keep up in 1e is also a great improvement to both the stats, math, and items in this playtest. Ancestries are a great idea and evolution of races. Placing all the spells and powers into a single chapter is nice for reference, but I am hoping it was just a playtest simplification and not permanent. Repeating abilities under ancestries but simply changing the attached ancestry and giving it another name is redundant because a separate entry tends to imply a separate functionality. Looking at you weapon familiarity. Making multiple classes have a pool of abilities that all mechanically operate the same way using various pools is great for simplicity, but confusing when they all use Spell Points to operate abilities that aren’t “spells”. I would like to see another term for this pool, especially when a spellcaster can have “spells per day” and a “spell pool” that aren’t related or interchangeable. Spellcasting with Spells per day tables. If it is a worry about spending all their magic only on high level stuff, or spamming too many magic missiles, I don’t think the solution is to just keep on keeping on. Render some status conditions from spellcasting. Currently you get fatigued for 10 minutes or so of casting in exploration mode. Perhaps a “spell fatigue” condition that increases as you cast your most potent spells, and decreases when not acting, that adds a penalty to spell DCs, spell attack rolls, and other casting numbers. Casting a spell at your highest level would increase your spell fatigue, while casting a spell at your second highest would keep it at its current level, and casting at any other (lower) level would decrease spell fatigue. Decide the scale and detrimental effects and you have yourself a way to let casters do what they want with their spell casting along with a balancing agent that uses a mechanic already embraced by the game. 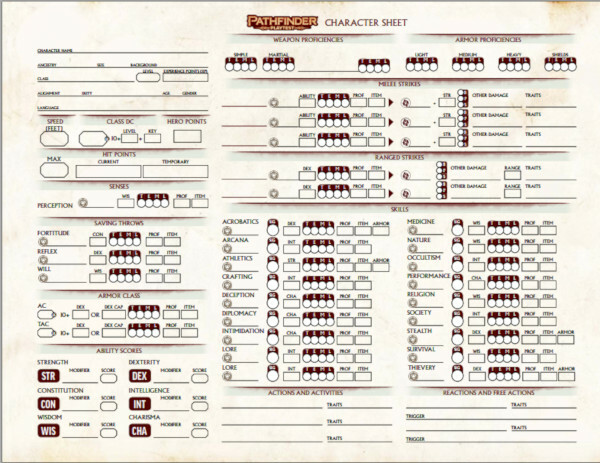 Okay, so I’ve said this before while writing Burst of Insight but the very first thing I look at is the character sheet. It gives me a roadmap to a new system and having that visual aid helps me understand the rules. So as always, I first opened my playtest book to the character sheet and was thoroughly surprised. All the early reviews said it played like PF1 but the sheet reminded me of Vampire and Werewolf with all the dots on the page. Not a problem but it was perplexing. Then I noticed that the attributes were tucked down in a corner on the front not in the place of prominence they’ve had since the earliest days. Again not a problem but noteworthy. So I went back to the beginning of the book and read through. Generally speaking I really like the rules. There are a number of rough spots and certainly I haven’t yet had the time to do a really deep dive into the mechanics but all in all I’m really liking what I see even if (like the character sheet) the choices made by the design team seem somewhat perplexing. Hopefully as I get to play I’ll see why these choices were made. Right away the action economy of the game is super streamlined. I really like the 3 actions 1 reaction design. I think that’s very smart. Another, simple design decision I really enjoy is the ability generation rules. I’m a huge proponent of point buy over rolled abilities that said I really like how the Playtest puts your character’s story at the head of the character creation process even as it figures into ability generation. Finally unlike Alex, I really like the ancestry system. I like that it reduces the impact of your character’s heritage at first level and allows it to remain pertinent throughout your adventuring career. It may require redefining some of what abilities are core to some of the more powerful races but that’s not an impossible hurdle. For all the streamlining and changes that make the game more narrative there are a number of ways the design has become more complicated and less narrative. Again the number of fiddly bits (conditions, weapon traits, and the like) have increased significantly and those things will require a lot of book referencing at the table. While I don’t mind spells and powers having similar or even identical layouts I don’t like the fact spells and powers are crammed into the same space in the book. I’m not yet sold on resonance. I like it in theory but the execution again it seems cumbersome. Which is the general theme of my complaints. Overall the game seems simpler but in many cases it feels like we just trade old complications for new ones. My Hill to Die On? I don’t know that I have one. I just wanted the new Pathfinder game Paizo created to be fun to play. My early read through indicates they’ve accomplished this one thing I needed them to do. I can (and likely will) tinker with the bits I don’t like and if ultimately I’m dissatisfied with PF2 after its final release I have a lot of unplayed PF1 APs to burn through before I’m forced to give PF2 another chance…I’m pretty sure it won’t come to that though.